Any fan of the comedies of the early 1930s is certain to get an eyeful of Thelma Todd at one point or another. 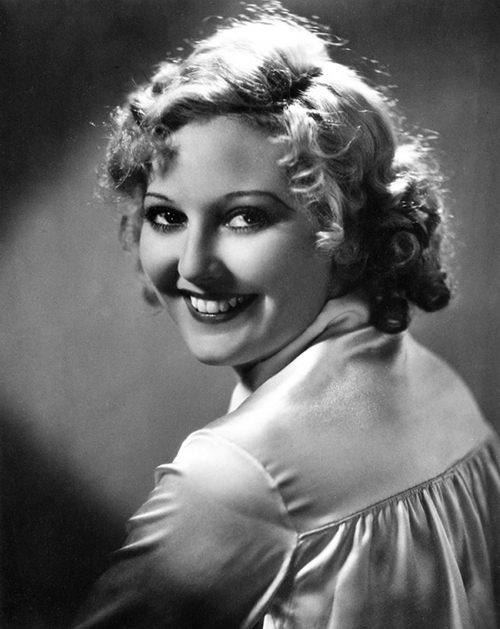 Tall, blonde and with a striking smile and a stunning set of comedic chops, she started in silent films before making waves for Hal Roach in the early 30s. She was paired with Zasu Pitts and Patsy Kelly in a series of comedic shorts for the studio which remain delightfully absurdist. Meanwhile, on loan out, Todd appeared in films across the industry, whether she was trying to trick the Marx Brothers at Paramount or romancing Wheeler and Woolsey at RKO. Unfortunately, Todd’s mysterious death in 1935 destroyed a promising career. 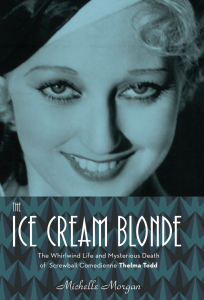 Michelle Morgan’s new book, The Ice Cream Blonde, seeks to cut through the decades of speculation, rumor and gossip to discover who Todd really was and what really happened to her. To gauge Todd’s real personality, Morgan relies mostly on interviews given to fan magazines and letters sent to eager fans. This can get tedious, as much of it has been sanitized by careful studio monitoring. The first section of the book reads much like an autobiography written by Todd’s mom, carefully orchestrated to make her seem as safe and deceptively uncomplicated. While this removes a good amount of humanity from her and often makes it seem that Todd lacked ambition– her Hollywood career was more luck than desire. This may be so, but it gives the book a lackadaisical tone at the onset. The book picks up by the eighth chapter when it finally begins to concern itself with Todd’s death. Morgan’s tome seeks to include every dissenting timeline between her last public outing at the Tropicana and her discovery behind the wheel of her car two days later. She runs through the many popular theories for either, murder, suicides, including the possibilities of the time of death being wrong. There’s plenty of conflicting and odd evidence, and Morgan does a spectacular job finding holes in several of the testimonies, director Roland West’s in particular. Morgan’s even handedness pays off here. Morgan isn’t interested in unraveling the trappings of fame or seeking out a deeper meaning in Todd’s journey. Todd was simply a woman who tried to do good and got in the way of some powerful, nasty men. This can be frustrating– many side characters feel underdeveloped. Ivan Lebedeff pops up a number of times, but we learn no more than his name. 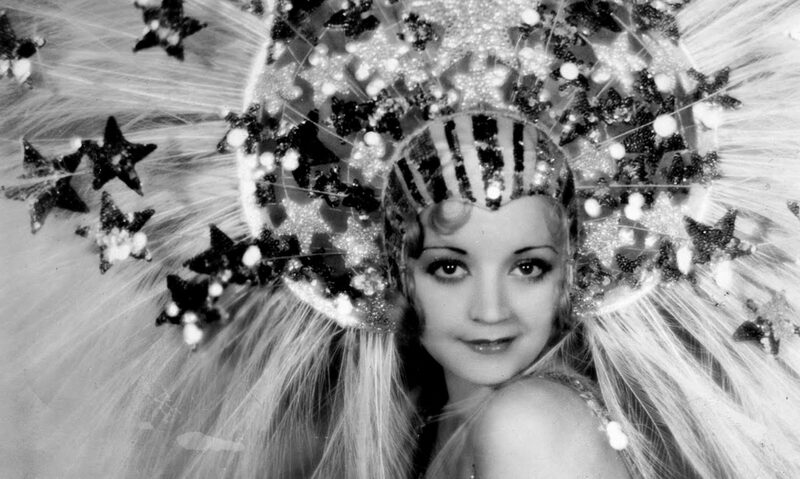 Other stars, like Zasu Pitts and Patsy Kelly, don’t get anything biographical written about them at all outside how Thelma thought about them and a few anecdotes. What I did appreciate was Morgan’s attempts to connect Todd socially, not just to certain names but to the vast community of Hollywood. Todd’s work with groups such as the Dominoes demonstrate how rough it was to be a woman in the early 1930s, as men cordoned off and came to dominate the studio system. Todd’s many misadventures include a revulsion at the casting couch and the many lewd gatherings that were popular forms of debasement. Her growing frustration with this would seem to be leading her away from acting and towards operating her own business where, unfortunately, she only seemed to find the same problems amplified and the threats far more immediate. People unfamiliar with Todd’s films or early 30s Hollywood in general won’t get much of it. But anyone already acquainted with Todd and the controversy surrounding her death, the book offers a concise and thoughtful glimpse into an actress’ untimely demise. Length: 224 pages, 264 with end notes and index. Thanks to Chicago Review Press for an advanced reader’s copy of the book! Just got my copy of this yesterday. I knew she died under pretty questionable circumstances, but I never really delved too deeply into it so I’m really looking forward to reading it. I’m conflicted about buying this book: half of me wants to read it desperately but the other half doesn’t think it’s worth it (especially at a measly 224 pages). I’m a big book lover and though I understand Todd had a short life, it just seems as if the author has glossed over the really interesting bits and didn’t dig deep enough to make this book a little longer. If I find it at my local library, I’ll definitely check it out but as far as purchasing it goes, I’m gonna pass. Thanks for the honest review, Danny! Danny, have you read “The Life and Death of Thelma Todd” by William Donati? It was released by McFarland a few years ago.